When I think of condiments, the small packets of ketchup, mustard, and relish that you grab at the counter with your jumbo hotdog at the ballpark come to mind. However, condiments have grown up into something much more. Innovative food makers and new food entrepreneurs have brought fresh energy to a stale category using real ingredients, minimally processed and with less sugar. Some condiments are so good these days you can enjoy eating them straight from the jar. The Treatmo iOS marketplace has seen many of these foods take off and grow in popularity. Bringing a burst of flavor and health to food, the new condiments are exciting. Here are five condiments ready for take off that go well with almost any meal. See more in the Treatmo app. Horseradish has a powerful and pungent flavor, similar to wasabi, and also has cancer fighting benefits. But it's longer the mushy or whipped add on served at steak restaurants. The new horseradish comes raw organic and fresh made. It's also minimally processed. 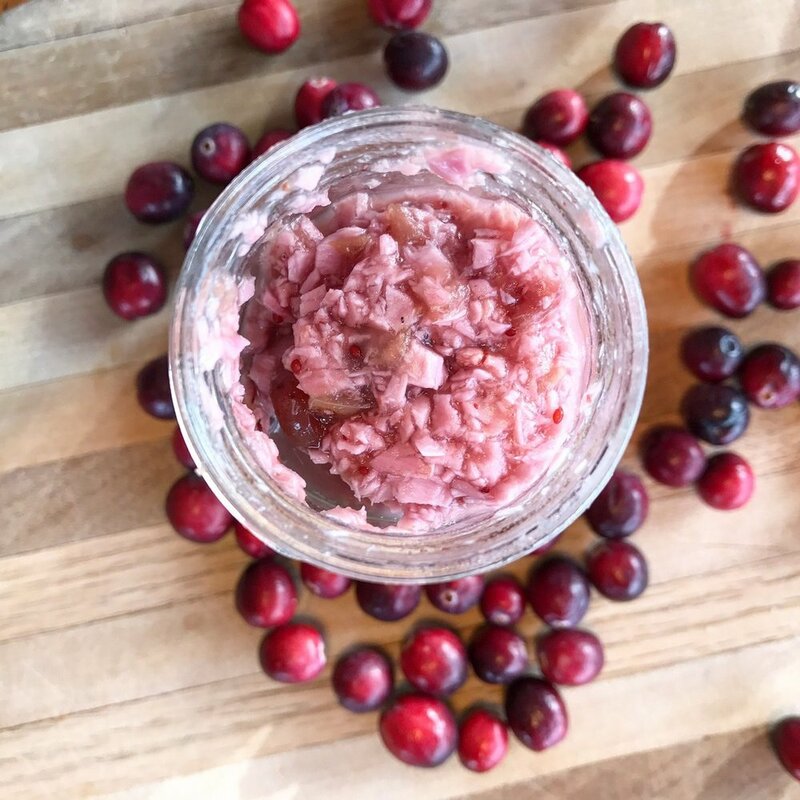 Grate Roots, out of Arizona, has mastered both texture and taste in a horseradish that comes in natural flavors like Kickin' Harvest Cranberry (below) that you can enjoy at breakfast, lunch, or dinner, or even straight out of the jar. When you're tired of regular jams and want something with a kick, try adding a bit of exotic fruit and chile in you preserves. Exotic fruit jams, like guava and pineapple, add more than your basic fruit flavors to the table options. With the addition of chile peppers, the Bacchanal Sauce jams are an exciting combination of sweet and spicy that livens up a lot more than toast. Add a dollop to latkes, blinis, or enjoy with fish like trout. 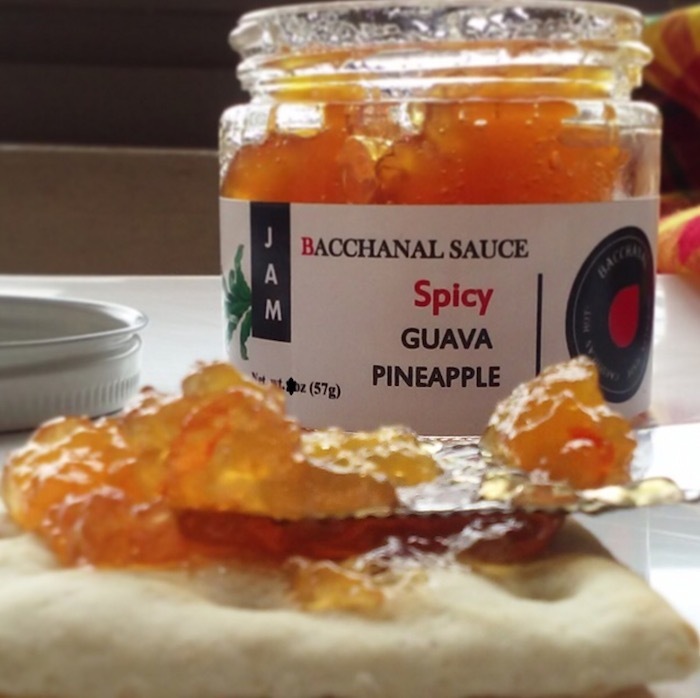 Bacchanal Sauce out of New York, makes jam fun and livens up food while satisfying your sweet cravings. Peri Peri sauce is the traditional condiment on southern Africa, in particular Botswana and South Africa. It is a sweet and spicy sauce made from red chile peppers. It gives a nice tangy flavor to food with a bit of heat and goes well with many dishes from meats, seafood to veggies. It can also be used as a marinade or as a dipping sauce, especially for samosas. Lesedi Farms makes small batch Peri Peri using fresh ingredients and a unique recipe that originated in Botswana. Healthy and barbecue sauce aren't usually two things you see in the same sentence. But it's happening. And locals in Arizona are winning big. When you scan the shelves at the supermarket, barbecue sauce is usually loaded with sodium and sugar. The OKB which stand for Old Kentucky Barbeque sauce provides a delicious alternative. Concocted in Kentucky in 1838, the recipe survived with the family and friends and has only 60 mg of sodium and 2 mg of sugar per 2 Tbsp. It also uses no corn syrup, soy, MSG, or xanthan gum. It is clean and delicious, with a tangy flavor from tamarind and can be used on more than just meats. Try it in stir-frys, grilled veggies, hash browns and mashed potatoes. See a video of the founders here. Pepper sauce has grown in such popularity that it now sits on most restaurant tables next to the salt and pepper shaker. In addition to making spicy jam, Bacchanal Sauce also makes a fantastic Caribbean-style pepper sauce with a medium level of heat. Using scotch bonnet peppers and a fruit base, it delivers wonderful flavor to all foods. It's also free from xanthan gum and is vegan. All condiments ship directly from the food maker on Treatmo. Download the app and order with ease and add excited to your meals! by Spiro Zefferys, co-founder at Treatmo, food enthusiast, chief eater and chef.